Tuesday, January 1, 2019 will be New Year’s Day, a federal holiday. 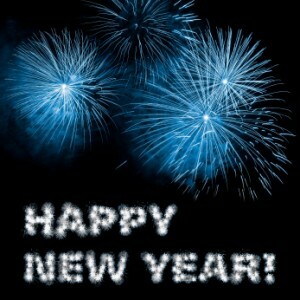 The offices of Vision Payroll will close New Year’s Eve, Monday December 31 at 3 pm EST and re-open Wednesday January 2. 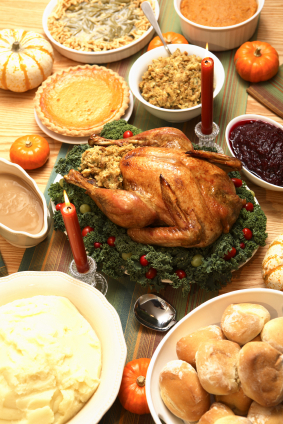 Most banks will also be closed in observance of the holiday. Payroll changes and hours must be submitted before the processing deadlines as listed below. Payrolls dated January 1 will be paid December 31 unless a previous change in schedule has been submitted. Payrolls submitted after these processing deadlines will be pushed back until the next available processing day. No changes are required for payrolls dated January 4. For payrolls dated December 31, including those normally paid on Tuesdays, ACH withdrawals from clients’ accounts will occur on Friday, December 28. For payrolls dated January 2, ACH withdrawals from clients’ accounts will occur on Monday, December 31. This is necessary to ensure timely crediting of employees’ accounts on the proper day. Due to heavy USPS and UPS delivery requirements as well as limited bank hours and staffing, we strongly recommend submitting payrolls during this time as early as practicable. Since the final bank processing for ACH transactions on December 31 is 1 pm EST, in order to ensure proper crediting of transactions for Wednesday, January 2, we recommend submitting payrolls dated Wednesday no later than 2 pm EST, Friday, December 28. 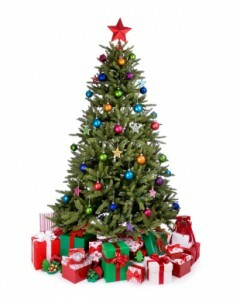 Ground packages received by UPS on December 28 will not be delivered until January 2. Ground packages received by UPS on December 31 do not ship from UPS until January 2 so we do not recommend submitting on that date any payrolls dated before January 3. If you prefer to upgrade your shipping to UPS Next Day Air, you may request this upgrade when submitting your payroll. Earlier deadlines, delivery limitations, and additional fees may apply to UPS Next Day Air shipments. The next federal holiday will be Monday, January 21, 2019, Birthday of Martin Luther King, Jr. 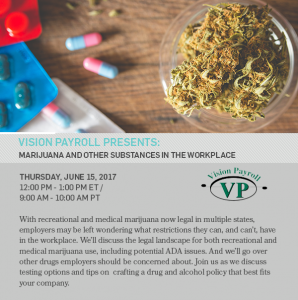 Contact Vision Payroll as soon as possible to make changes to or for questions on your processing schedule. Social media can be a powerful tool to grow your business, but it can also create workplace distractions or be a forum for messages that may undermine or hurt your organization’s brand. Through this session you’ll learn when and how you can regulate the use of social media in the workplace. 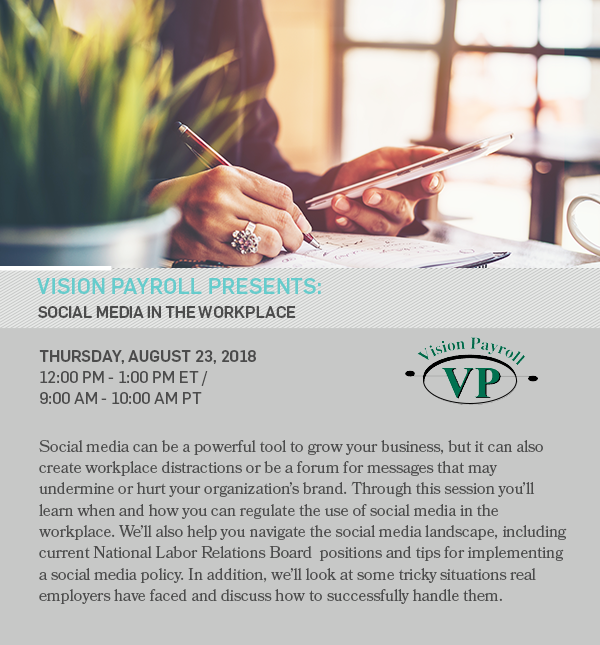 We’ll also help you navigate the social media landscape, including current National Labor Relations Board positions and tips for implementing a social media policy. 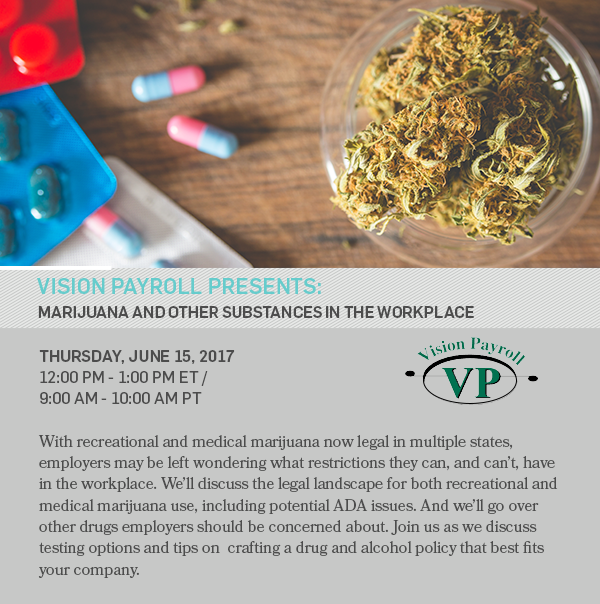 In addition, we’ll look at some tricky situations real employers have faced and discuss how to successfully handle them. 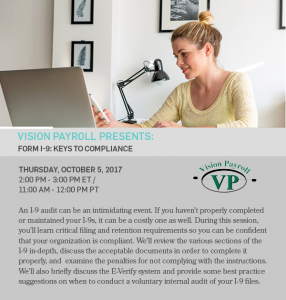 On Thursday, May 17, 2018 at noon, Vision Payroll will host a webinar on Harassment Prevention Training for Managers. Topics will include properly training your managers to recognize and prevent harassment is critical to keeping your organization compliant. We’ll provide insight into the legal obligations of employers and managers as well as best practices for preventing sexual harassment. We’ll also discuss different types of harassment, complaint management, retaliation, unlawful discrimination, and prevention strategies. Through real-world scenarios, you’ll learn about best practices and measures you can take to ensure employees feel safe, comfortable, and able to work at their full potential. 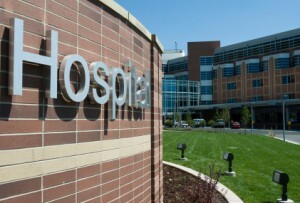 An I-9 audit can be an intimidating event. 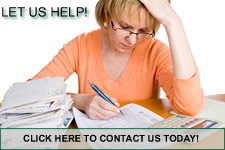 If you haven’t properly completed or maintained your I-9s, it can be a costly one as well. During this session, you’ll learn critical filing and retention requirements so you can be confident that your organization is compliant. We’ll review the various sections of the I-9 in-depth, discuss the acceptable documents in order to complete it properly, and examine the penalties for not complying with the instructions. 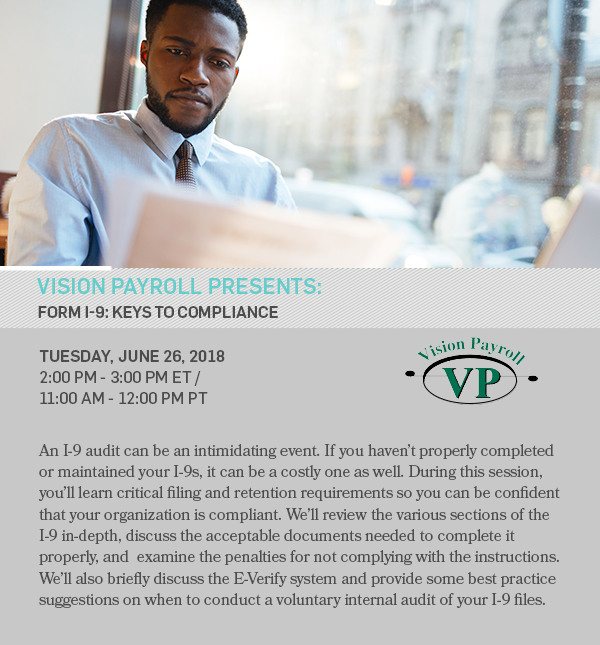 We’ll also briefly discuss the E-Verify system and provide some best practice suggestions on when to conduct a voluntary internal audit of your I-9 files.